Drawing on four years of online discussion and four face-to-face conferences, The Aotearoa Digital Arts (ADA) Reader presents key texts on new media art to a broader audience. Edited by Stella Brennan and Susan Ballard and designed by Jonty Valentine, the book is composed of 20 histories and topical essays, along with 11 pageworks by selected artists. The ADA Reader is designed to bridge the space between academic text and artistic monograph. The publication records the practices occurring in New Zealand within a context of critical and historical discussion. 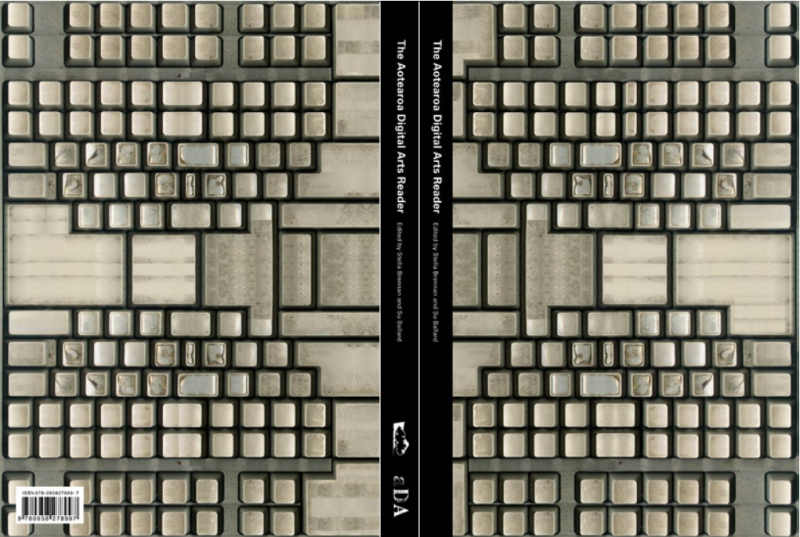 Ranging from research into the preservation of digital artworks to the environmental impact of electronic culture, from discussions of lo-tech aesthetics to home gaming, and from sophisticated data mapping to pre-histories of new media, this book presents a screen grab of digital art in Aotearoa New Zealand. All contributors are members of Aotearoa Digital Arts, New Zealand’s only digital artists’ network. With its mix of work by artists, theorists and educators, this reader represents some of the best new thinking about digital art practices in Aotearoa New Zealand, reflecting the politics of location, yet highly relevant to the wider contexts of digital media art and culture. The Aotearoa Digital Arts Reader had its international launch on July 28, 2008 at the National Museum of Singapore. The launch was hosted by Martin Harvey, New Zealand High Commissioner to Singapore as part of the 2008 International Symposium on Electronic Art (ISEA). In Singapore ADA also presented Cloudland: Digital Art from Aotearoa New Zealand. 240 pages, full colour. Published by Aotearoa Digital Arts and Clouds. Available here. Chapters available for download here.